The Bass Coast Summer Agricultural Show is a yearly event held in the southern beach town of Wonthaggi near Phillip Island. This huge show draws thousands of visitors each year with heaps of rides, food, competitions and entertainment, making it an event that is perfect for the whole family. The Bass Coast Summer Agricultural Show will have a huge range of competitions including horses, garden, home produce, needlecraft, photography, as well as children’s competitions. For entertainment, patrons can enjoy the strength and agility of those competing in the Wood Chop Arena, the skill of Chainsaw artists and tractor and vintage car displays. As for animals, there will be a poultry exhibition, snakes and reptiles, and dog flyball competitions. You will be able to enjoy equestrian events, alpacas and pigs. For the kids, there will be an animal nursery where they can get up close with sheep, goats and chickens. 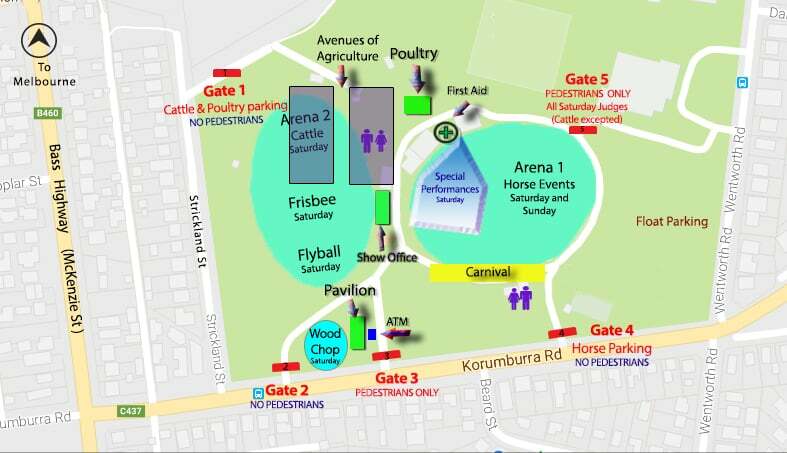 Make sure to head over to the exhibitions on display, as well as a fun carnival, sideshow games and heaps of rides for the kids. No show would be complete without show bags, and there are plenty of those on offer. You will also be entertained throughout the show with heaps of roaming entertainers including stilt walkers, circus workshop and clowns. There will be heaps of hot food and cold drinks available for purchase and there will be an ATM machine on site. So make sure you bring your whole family to the Bass Coast Summer Agricultural Show in Wonthaggi. Do you have a date for the Kustoms Hot Rod show for 2019 yet? I have since updated out own event page to reflect these new details.